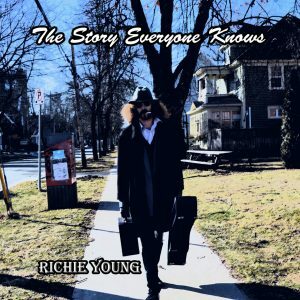 Richie Young evokes the ghosts of early blues with his debut cd release produced by Jake Duffie and the Underground Alliance. From the first track, Backyard Doctor, the listener is drawn into a Louisiana Bayou, complete with mouth harp and an awesome acoustic blues sound that only Ritchie can deliver (along with feeling and passion). Its difficult to highlight any of the tracks as they all stand solid on their own. However, my personal favorites include Blue Note Boogie, St. Andrews Road and Seven Toe Cat. You could ask me tomorrow and that list could change as the songs seem to hit you differently depending on what you are in the mood for. Richie Young is a blues natural. It flows in his blood. Luckily, he allows it to flow into our ears and hearts. Check him out next time he performs near you. He will have you eating crawfish off the palm of his hand. Little Walter and Sonny Boy Williamson would be proud of this cat and his music. I can see them looking down from the heavens and smiling.